Asian Hotel Roundup: Who has Asia's Fastest Wi-Fi? Chinese cities and regions that were once way off the radar are continuing to emerge in an era that is bringing the whole of China into focus for travelers. Zhengzhou (see video below) is the latest city to draw international attention in the form of major growth in its hotel inventory. Zhengzhou, the capital and largest city in Henan Province is also the political, economic, and technological hub of the province. Hilton Worldwide has entered Henan Province in China with its first hotel there, the 448-room Hilton Zhengzhou. Located in Zhengzhou’s city center, the 39-story hotel lies within five miles of the city’s train station that connects conveniently to Beijing, Xian and several other cities. 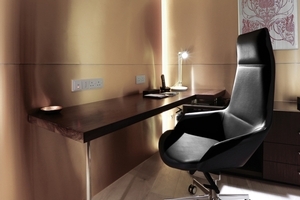 The Innside by Meliá will open in June 2015 and Meliá Zhengzhou will open its doors in January 2016. The hotels are part of a complex of three buildings located in the city’s new business district. Together, they will bring 933 rooms and MICE facilities including one grand ballroom for over 900 people and other multifunctional meeting rooms. Other hotels are also on the way. 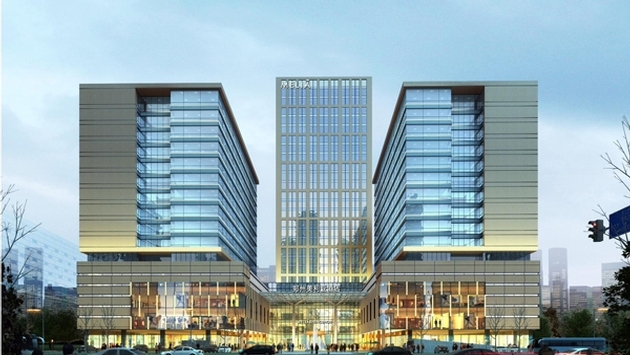 The 300-room Radisson Blu Zhengzhou Huiji will open later this year and a Grand Hyatt is also under development. The Li River, a draw to Chinese landscape painters for centuries, will now begin attracting spa indulgents as well. 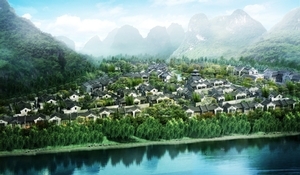 The Li River runs through the Guangxi Province town of Yangshuo giving the river one of its most beautiful settings and now Banyan Tree will open a new resort there this summer. The Banyan Tree Yangshuo will be situated along the lower reaches of the river in Fuli Town, an ancient town famous for its painted fans. The resort will feature 142 suites and villas that employ local architectural and design motifs such as latticed windows, ink wash paintings, dark woods, bamboo, marble mosaics, earth tones, and classic Chinese furnishing. All suites and villas have views of the mountains and the river. The Li River, which also runs majestically through Guilin, is at its widest in Yangshuo. The Nine-Horse Mural Hill can be accessed along a steep path near the river. Half way up the hill, there is a rock cave with an inscription that dates back to the Ming Dynasty. Fuli Town has been largely untouched by tourism. Yangshuo is also popular with rock-climbers and cyclists. There’s a three-mile bike path with observation decks and resting places that locals often call the ‘Carter Path,’ because when he visited, former U.S. President Jimmy Carter chose to explore the area by bicycle. Four Ovolo properties in Hong Kong ranked among the top 10 in Wi-fi speed among the city’s hotels according to Hotel Wi-fi Test. The Ovolo 2 Arbuthnot led all Hong Kong hotels with an 85.5 rating followed at number 2 by the Ovolo 286 Queens Road Central at 82.2. The Novotel Citygate came in third with a distant 59.4 rating. The Hotel Wi-fi Test rates the speed of Wi-fi in hotels around the world and is a useful guide for agents and travelers. The fastest hotels in New York, London, Singapore and Shanghai reached 75.4Mbps, 31.5Mbps, 13.7Mbps and 13.2Mbps respectively, while the two top Ovolo hotels in Hong Kong were ranked in the 80s. Ovolo Hotels also offer their Wi-fi service for free. Founded in 2002, Ovolo Hotels is now one of Hong Kong's larger independent hotel operators. Ovolo Hotels owns and operates four hotels and two serviced apartment properties in Hong Kong Island and West Kowloon as well as one hotel in Melbourne. In Q2 2014 the company will launch a 162-room designer warehouse conversion hotel with restaurant, rooftop bar, meeting and event spaces in Southside, Hong Kong. Ovolo hopes to develop and manage hotels in Australia, the U.K. and Southeast Asian. 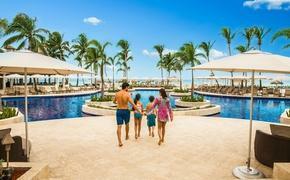 Thailand’s Aleenta Hua Hin Pranburi Resort and Spa has opened a new three-bedroom beachfront villa. The villa adds a new dimension to the property and comes with a private chef and butler and boasts a full kitchen, a dining room, an outside Dining Balcony, a large Infinity Swimming Pool and a parking area. The villa has oceans views from each room, an upstairs Tanning Deck and while distant from the hotel’s main wing at 300 yards, it’s close enough for guests to take advantage of public services and areas in the hotel. Hua Hin lies about 120 miles south of Bangkok. Once a fishing village Hua Hin became a getaway for Thailand’s royal family in the 1920s when King Rama VII fell in love with it. 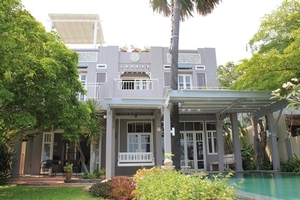 He named the palace he built there in 1928, Klai Kangwon, or Far From Worries in English. The fishermen are still there, selling the daily catch to tourists as well as townspeople. The Royal Hua Hin Golf Course is Thailand’s first golf course. The Aleenta Hua Hin features such luxury touches as gourmet organic food sourced from the resort's own organic farm and buys local fisherman's catch from the line, not trawled.